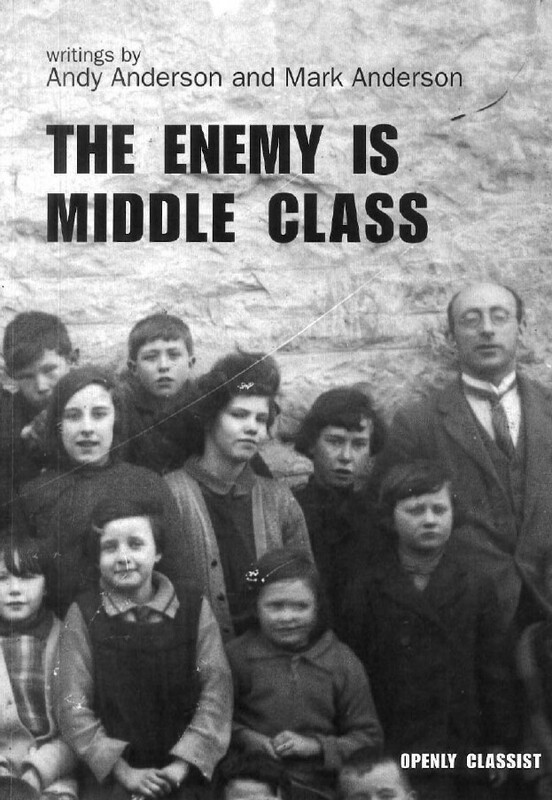 The Enemy Is Middle Class presents the controversial view that working class people are oppressed by a singular middle class (rather than by the ruling class, with the middle class in the middle). Alongside this it includes valuable insights into how middle class people can dominate working class people in all areas of life, including revolutionary groups. A critical review of the book from Black Flag magazine. A review of "Why The Revolutionaries Have Failed" in Echanges issue 70/71. Also related (iirc): "A Class Act" - review of "Educating Who about What - the circled a and its parasites". There's a PDF of Educating Who... up at https://archive.org/details/EducatingWhoAboutWhatTheCircleaAndItsParasites, although the formatting makes it a bit unreadable. Ah yes - I've tidied that review up a bit. There is a text version of "Educating" linked from it now - on the archive.org version of the Openly Classist site.